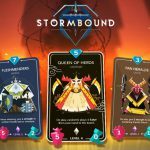 “A fantasy card game that is super complicated and awesome”. With a tagline like that admittedly could be a little imposing but thankfully Cartoon Network’s card game app delivers on it’s premise while still being accessible to new users. 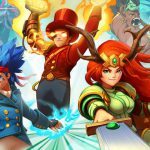 Card Wars Kingdom is the second card wars game out there and changes up the formula a bit from the original which makes it a more battle focused card game without the land managing from it’s predecessor. The game itself has a very colorful and cartoony aesthetic which matches the show it comes from. While making sure to include from what I can gather at least a handful of the main characters with their voice actors to say lines while they battle which is a nice touch. At the same time the whole game works on heart system to play matches that some other games have used like Pokemon Shuffle or Jetpack Fighter, which is not a bad thing but does limit how many matches you can play till your hearts replenish or till you rank up to get more hearts. Speaking of ranking up this may be a good time to bring up that a lot of the game’s sections and areas are locked to you until you reach the rank needed to unlock it, but do not worry all the essential areas will be unlocked during the games tutorial. The gameplay of the game which to be honest might be the important part of this game because the whole game revolves around it, is actually pretty fun. The battles play similar to another popular card games out there and you make moves, play monster, and attack based on how much energy you have which increases as the game goes on. Making the early part of matches less hectic and focuses more on setup, which is a nice change of pace from other card games that have “life points” as a measure to see who will win and instead puts more focus on the creatures you have. Having mentioned “life points” this game does not have any, and you win by destroying your opponent’s creatures first plain and simple at the same time making each match not too long. 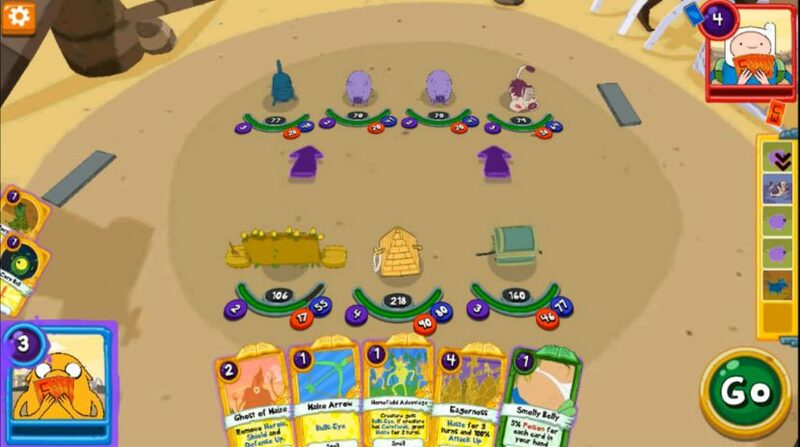 Although the actual strategy behind how you win is completely up to the player and without getting too in depth about the mechanics behind deck building and all the different spells and such because the game goes through that for you, I will say that it is a very expansive little card game that can rival other strategy card games within the genre and dare I say it might come into it’s own as it progresses. There is however one thing I should bring up, there are microtransactions in the game which is per the usual in games these days but thankfully you are never required to pay for anything since you are able to get plenty of in-game currency to get more cards just by playing the game and doing the daily missions the game offers. 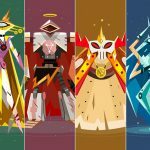 On the whole Card Wars Kingdom is a very fun card game for both newcomers to card game and veterans alike, with it’s large amount of cards and strategies available to the players it will be a nice addition to your app drawer next time you are looking to for sum cartoony card battling fun in your quest to become the cool guy.